The experiences we have in life, our thoughts both negative and positive, our relationships, our work, all leave a print in our hearts and in our energetic field. Some of these heart prints bring us great joy and some bring us sadness and despair. Our beliefs also play a big part in our lives and leave their prints too. Some beliefs serve us well and some don't. As we progress and evolve in our life journey, some beliefs fall away naturally, some we review and rethink. And some we hold onto because of many factors like social conditioning, superstition, fear. It is good to challenge some beliefs, it is good to reflect on some and either confirm or reshape them. Sometimes circumstances make us question some of our strongest beliefs. Recently I have questioned my belief in God, in the Universe. Then just as I am about to lose faith and release that belief, something comes along that rekindles both. and throw out the ones that don't serve you. What beliefs do you feel strongly about, what have you let go of? So here is my song- It Is You I Have Loved from Shrek and it is one of my favourite songs. Over the years I have believed that somewhere there exists a soulmate for everyone. What I mean by a soulmate is that being with whom we connect at a soul level. Sometimes this soulmate comes to Earth with us as a romantic partner, a parent, a sibling, a cousin, a friend, a child, a grandchild, a teacher. But today I'll talk about that romantic soulmate that I believe is there for all of us. Sometimes however, our romantic soulmate does not come with us to Earth as perhaps in this life we are meant to go it alone or has departed as their time on Earth was over or someone we haven't met as yet. But I believe that no matter what - whether that soul is on Earth or not, we subconsciously connect with them at an energetic level. This song always reminds me of that. Sometimes when I feel alone, I think about that soul that I connect with who exists somewhere in this Universe. And I realise that we are therefore never alone. When you meet someone from your soul tribe, you feel you already know them. Pick a song you like that sparks something in you and share in the comments. Tell us about your thoughts on soulmates too. May you all find that special soulmate that makes your heart sing with joy. 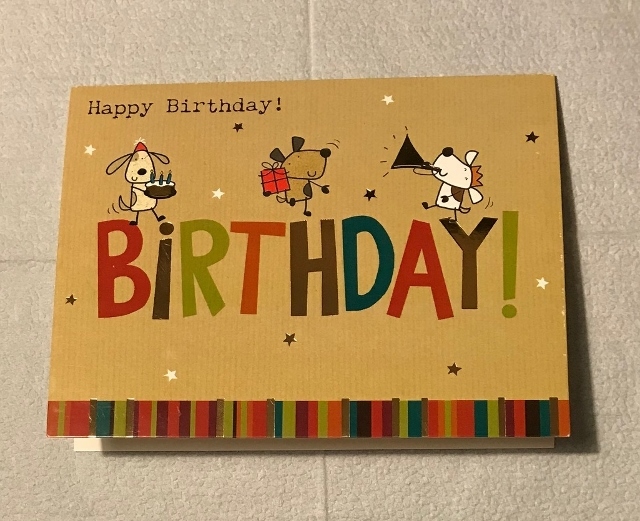 It was only a few years ago that I would receive so many cards on my birthday from family and friends around the world. Now I get txt messages, whatsapp messages, facebook messges. I am grateful that I receive so many wishes, blessings, and greetings on my birthday. But I miss the cards. There is something about holding a card from someone who took the time and effort and sent or gave it with love. 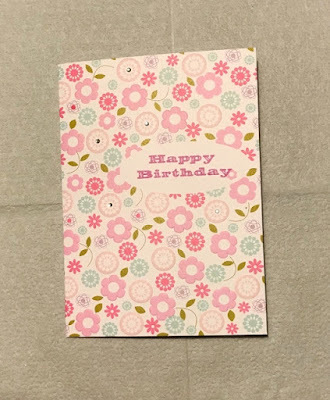 So since last year I have started making birthday cards for family and friends. I get a lot of pleasure out of it and it keeps my creative juices flowing. Here are cards I received this year on my birthday from my dearest loved ones. These are so special for me. 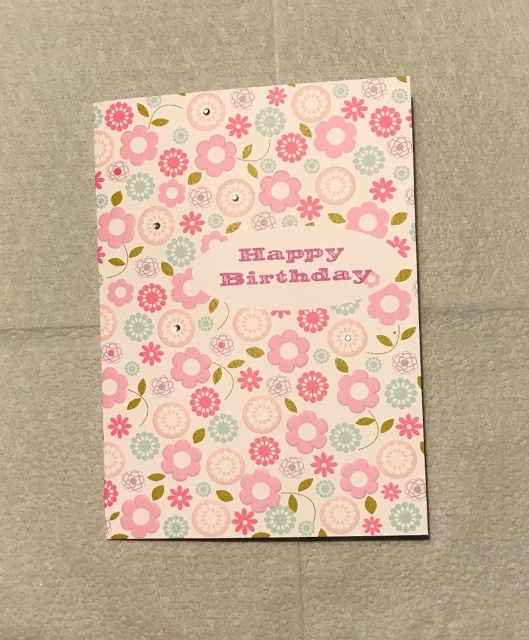 And here's a card I made for my daughter for hers. Still haven't completed one for my mother (tomorrow's task) and then I'll start on all the November birthdays. I love making cards. Even when I was little I was always making things - cards, little notebooks, art work. What do you think? Has social media taken away that personal touch ? Share your thoughts. I've always enjoyed doodling. And now it has a fancy name Zentangling. I bought myself a teach it yourself Zentangling book but somehow learning to Zentangle didn't gel very well. I think I am too impatient to learn the techniques. But I love to doodle freehand. Some days ago I came across the Inktober challenge but I was too late to join. I thought I would do the challenge anyway just for myself and Zentangling seemed to be most appropriate. 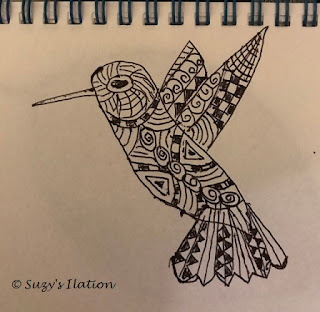 Each day I Zentangle and as I do it, I find it quite meditative. So now I've discovered a new type of meditation. No wonder it's called Zen-tangling. 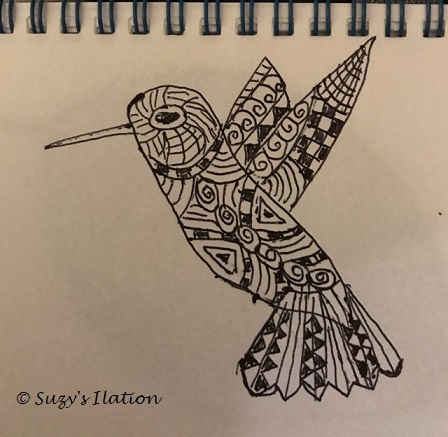 Here is one of my Zentangles. Not the best and I could've done a whole lot better. But it will do for now. A child isn't thinking about whether their painting is good enough. Have you tried your hand at Zentangling? 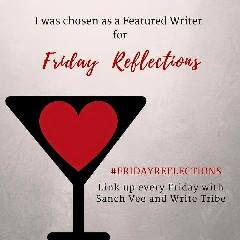 This week's prompt at #WriteTribeProBlogger Challenge & #FridayReflections is bated breath. To wait with bated breath, is to wait in an anxious or excited way to see what happens next. Bated breath moments can be very stressful. But I have been blessed that most of my bated breath moments have turned out favourably. Commit to the process, detach from the outcome. 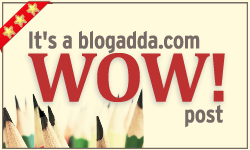 Share some of your bated breath moments or write your own post. Today's prompt for the #WriteTribeProBlogger challenge is Terminal. This word has many meanings but I'm going to use this in the context of boundaries. Do you ever think of a different world? Sometimes I wonder if this world was meant to be the way it has turned out or something quite different. So many rules and regulations to abide with. Everywhere we go there are restrictions and boundaries. And it starts way back in childhood in school. We all have to conform to an education system that caters for only one type of student - the academic. And then there are restrictions and boundaries each country places. When will we become citizens of Earth? When will each individual be able to do the things that bring them joy, experiment with creative pursuits without fear of failure. When will there be a society where money is no longer a commodity that determines wealth but the ability to provide happiness to others does, where all work together for the betterment of humanity. Will we ever see an Earth like this? Will we all someday truly have the ability to reach for the stars in the way we each individually want to. What do you think? Are you okay with restrictions, boundaries and limitations or would you also like to see a different world? Where did those happy childhood days go? So where did those happy childhood days go? Share a memory of a moment that fills you. After the A to Z Challenge way back in April, I somehow lost my writing muse. I couldn't get myself to pen anything down. Sometimes life throws us a few curved balls that need to be attended to and that means some things have to take a back seat. Unfortunately for me that was blogging. But I missed it and the interactions with my fellow bloggers. 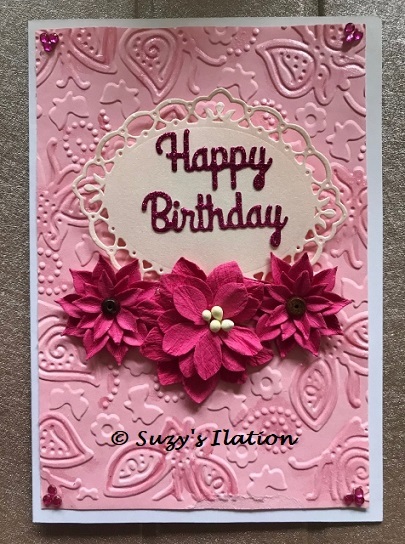 So a challenge is a great way to re-start my blogging and re-connect with blogger friends. I have no theme for this challenge, but one never knows, a theme may suddenly emerge. And when you are lost for words, find a quote and share it. So in keeping with the last few months when life decided to get just a wee bit difficult, here's a quote from the book The Afterlife of Billy Fingers by Annie Kagan. Turn to nature to pardon some of the difficulty you have to bear. Nature has more light than anything else on your planet. If you haven't read this book, I highly recommend it. 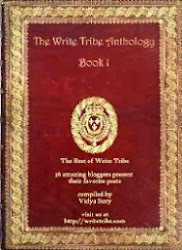 You can enjoy it as a story or look deeper into its meaning. Inspirational and motivational quotes is what has kept me going and helped me cope with the tough times. So how do you cope when life throws you a curved ball? Share your thoughts in the comments below.